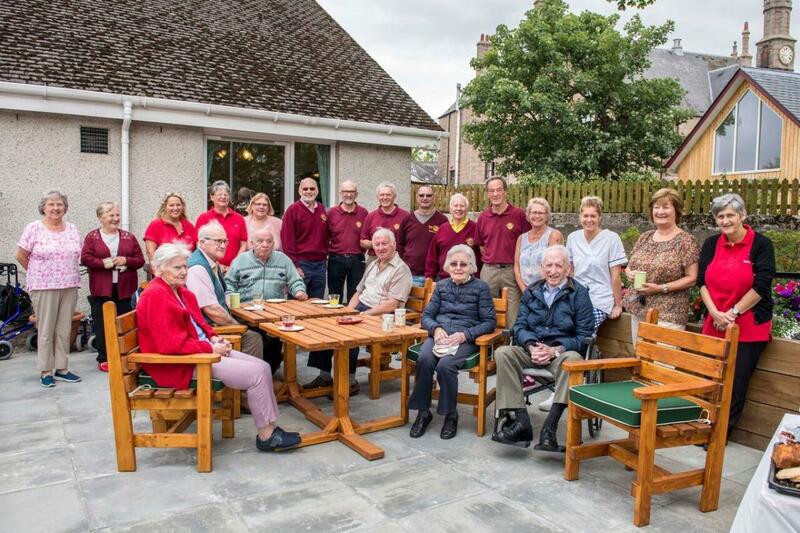 Ellon Rotarians have transformed an outdoor activity space for those affected by Dementia. 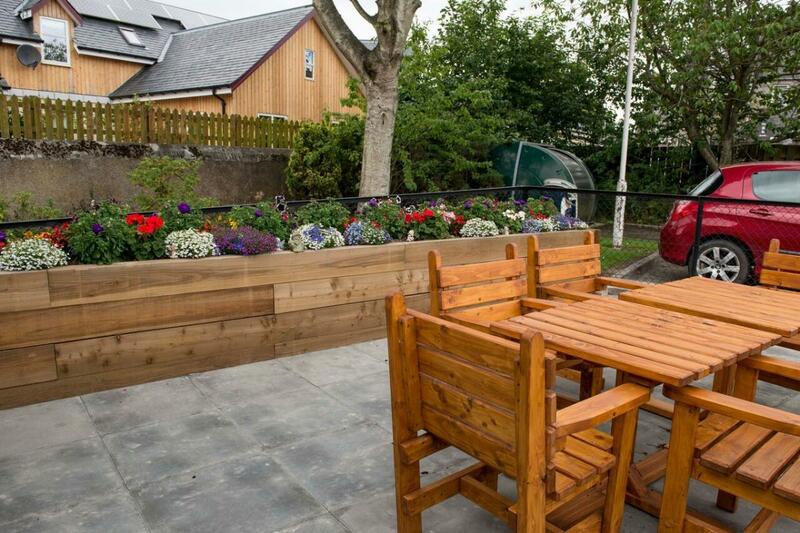 Official Opening of the outdoor space of The Bothy at Ythanvale Dementia day care centre. 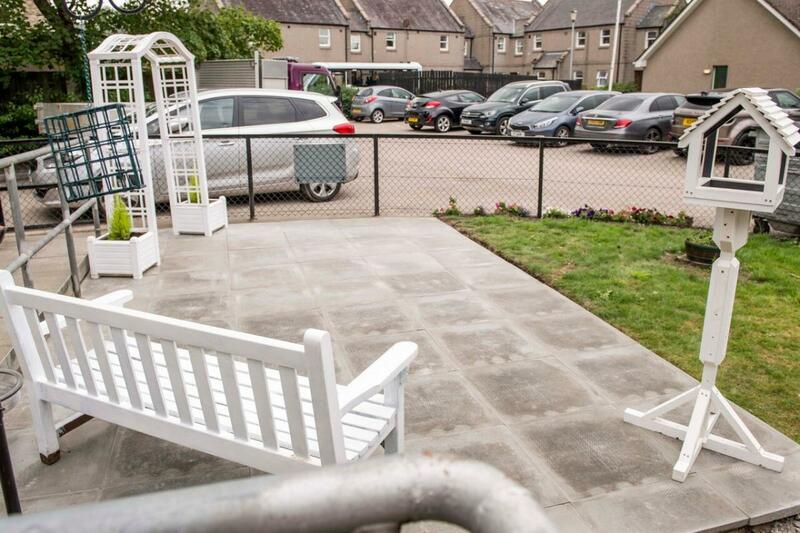 This safe and secure outdoor space which gives everyone the opportunity to get outside and enjoy fresh air and sunshine includes the provision of suitable chairs and tables. 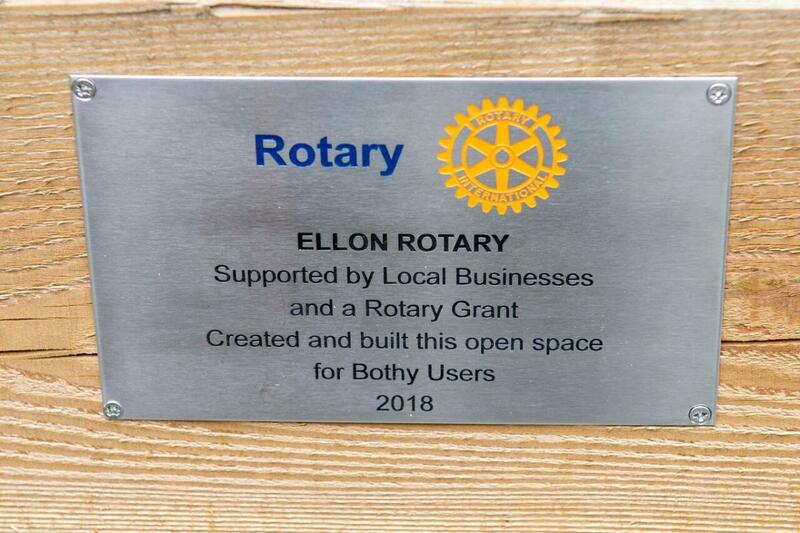 Rhonda Morrison and John Currie who work at the Bothy said it certainly will make a big difference and benefit everyone. 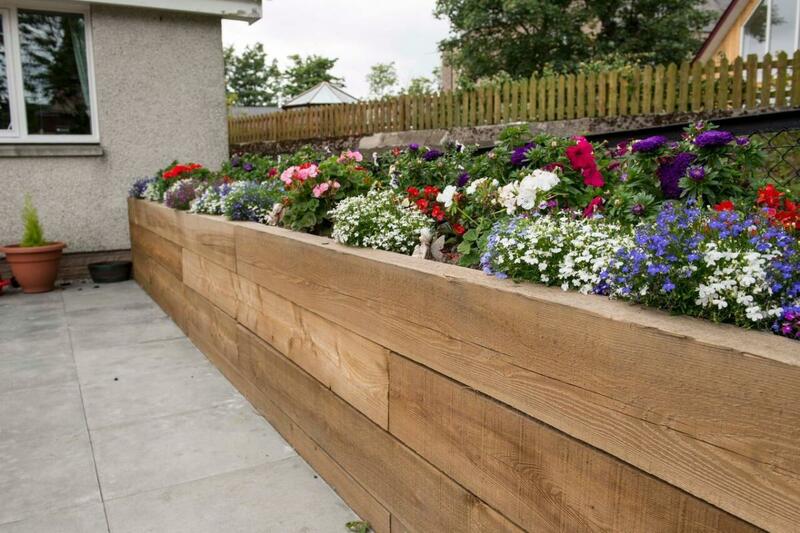 It offers a safe space to get outside exploring hobbies such as gardening, bird watching and feeding. 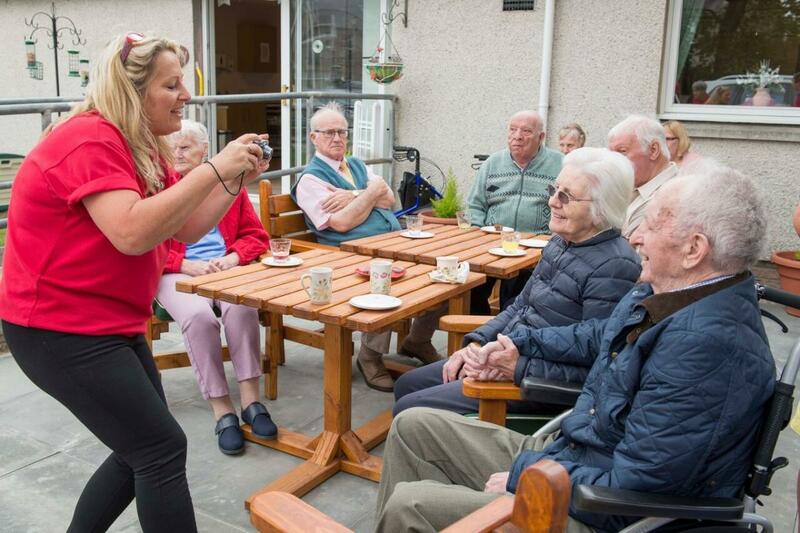 We can sit in the sun doing games or crafts or just chatting with an ice cream or a cup of tea reminiscing about the good old days. 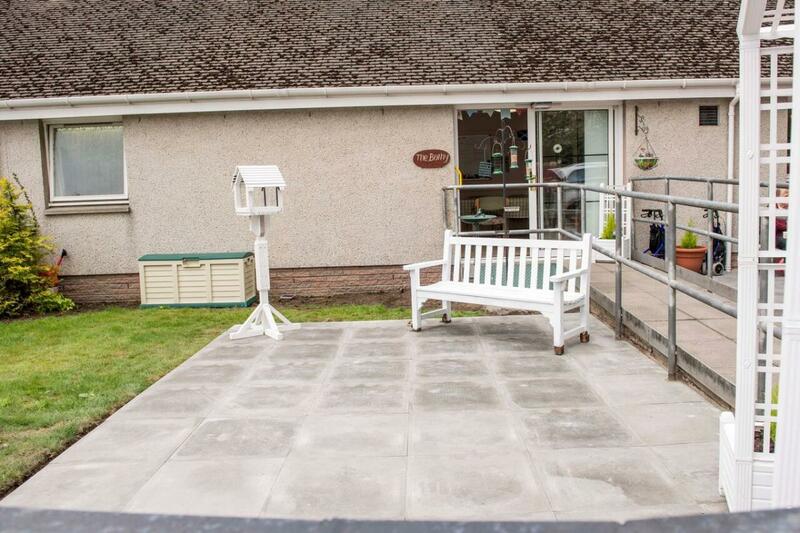 It also offers a quiet are for someone to relax in if they need time on their own. Also, with trees cut down there is lots more natural light within the Bothy which enhances inside too.